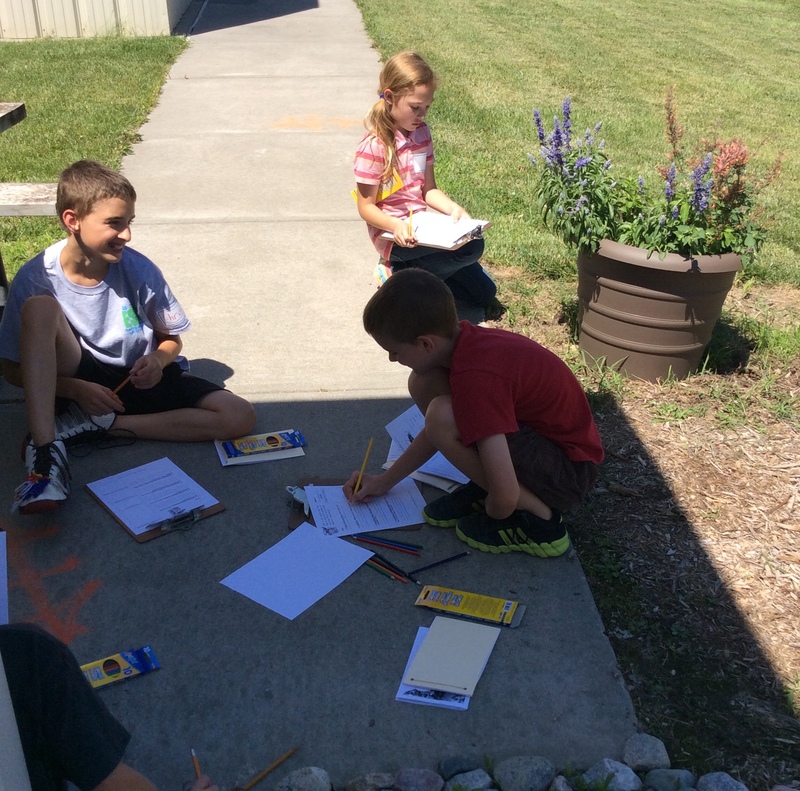 Kids nature journaling in the pollinator habitat. Today Soni and I taught a Clover College session for Lancaster County 4-H youth. Our class was called Habitat Discovery. We taught the kids about pollinators and why they are important. 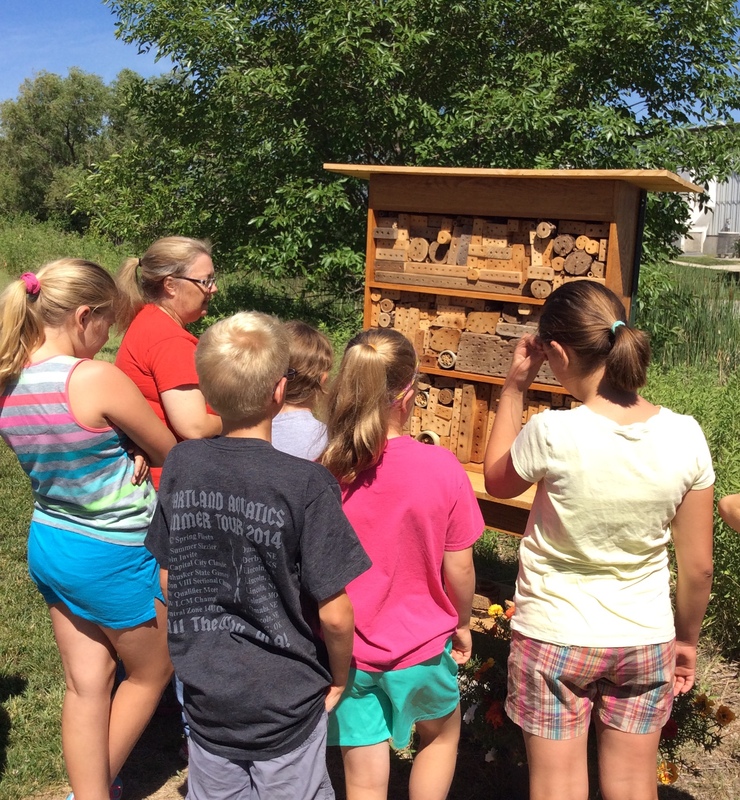 We gave a tour of our pollinator habitat and explained the bee house and insect hotel. The kids then made nature journals. They took their journals out into the habitat and made observations. They wrote about the weather. It was sunny and hot! They searched for pollinators and other insects. They drew what they saw and colored their pictures. By spending time in the habitat they could watch the pollinators visit the flowers. They saw the solitary bees visit the bee house and enter the holes drilled in the wood. Each kid got to take home their journals, purple coneflower seeds and a small bee house that Soni made for them. What a perfect way to finish Pollinator Week! 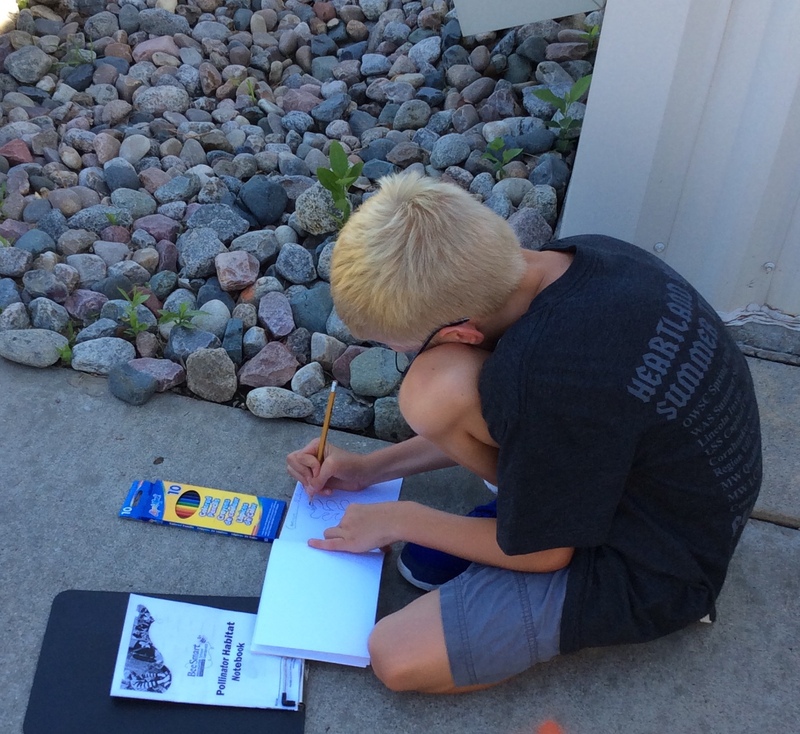 Youth drawing in nature journal. Soni educating the youth about the bee house. 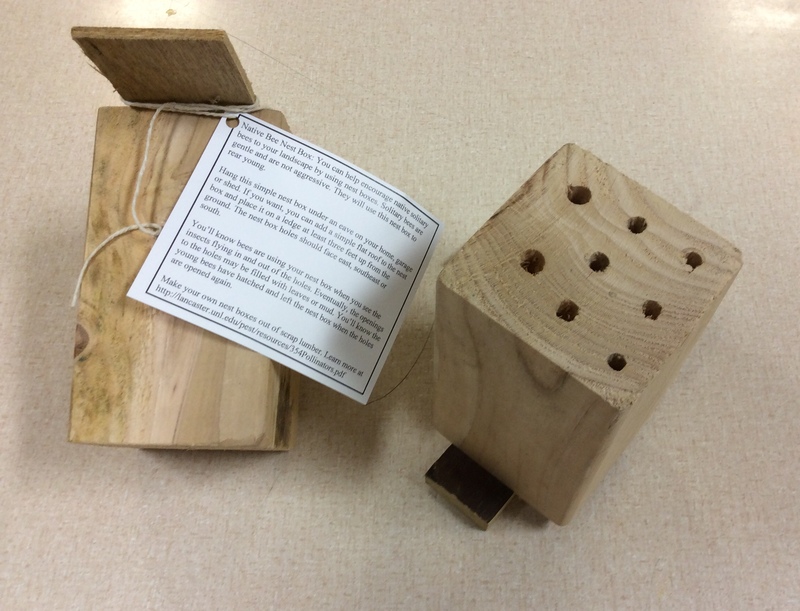 Solitary bee house for kids to take home and place in their landscape.